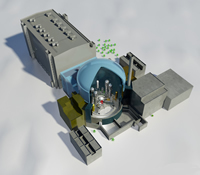 Current positon: Assessment of reactor design complete and nuclear site licence granted in 2012 to install and operate two EPRs at Hinkley Point C in Somerset. At the end of each step of the assessment, the regulators publish detailed technical reports and a summary report. A regulatory issue is a serious regulatory shortfall identified by the regulators. The issues are potentially significant enough to prevent provision of design acceptance. There are two regulatory issues published for the EPR. GDA issues remain following issue of interim design acceptance. They need to be resolved before a final design acceptance can be granted. There were 31 GDA issues published for the EPR following issue of interim design acceptance. In December 2012, ONR and the Environment Agency granted design acceptance to the EPR design.